A hundred sensible ways to write better. Nobody’s born knowing how to read and write. Sure, the lucky ones have talent, but we all start out learning our ABCs. We memorize the sounds that letters make, and we learn how they come together to form words. Pretty soon, we’re reading. Someone puts pencils in our hands and then we’re scribbling letters on paper. At last, we can write. It takes years of study and practice just to be able to write a simple sentence. So, what does it take to become a proficient and professional writer, to compose thoughtful and meaningful pieces of writing? It takes commitment and a willingness to work hard at the craft. There are big things you can do to write better, like go to college and study literature or creative writing. But there are also quicker, simpler ways to improve your writing a little bit at a time. There are innumerable techniques that we can apply in order to write better. I started writing a short list of some quick and easy things we can all do to improve our writing and suddenly found that list approaching 100, so that’s where I decided to stop. The list below is not exhaustive. In fact, if you think of anything to add, please do so by leaving a comment. Be willing to invest in your writing. Buy a book. Splurge on a professional critique. Be willing to make sacrifices. Give up one of your TV shows or skip your vacation and stay home to write instead. Start with a vision or a concept. Let that be your guide as you write. Keep it simple. Tight writing is clearer and easier to read. Let readers get lost in the story instead of getting caught up in the words. Be logical. If a character is hiking in the Appalachian mountains, she might slip and fall but she probably won’t break a heel on her high heeled shoes. Write better by avoiding clichés. Read books, articles, and essays on the craft of writing. But don’t spend more time reading about how to write than you spend writing. I recommend a book every three months for beginners. Be aware of how you structure your writing. Start with a compelling introduction and end with a closing or summary that will linger in the reader’s mind. 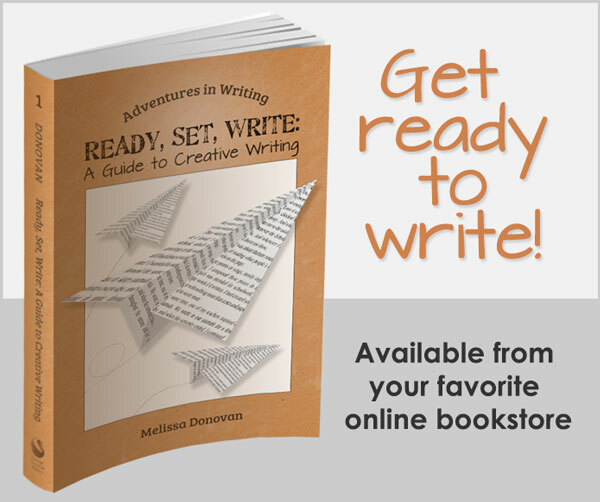 Set word counts or time minimums for your writing sessions. Experiment to find what’s comfortable for you. My minimum is 500 words, but I can produce up to 2000 words in a one-hour session if I’ve planned what I want to write. Find out whether you work better with an outline. Many writers find that their writing is more focused when they use an outline. You can also establish mileposts (main points you want to address or significant plot points you want to reach). Stop talking about what you’re going to write. Stop thinking about what you’re going to write. Sit down and write. Avoid passive voice unless you’re writing historical fiction. This is what passive voice looks like: She was invited by her boyfriend to the concert. Active voice is far more effective: Her boyfriend invited her to the concert. You will almost always write better in active voice. There’s more to writing than just writing. Some of our most important work is done away from the keyboard. Make sure you set aside time for prep work, outlining, note-taking, research, planning, and revisions. Find your best routine. Some writers work well in the morning. Some work better at night. Some like to write in short, 20-minute spurts. Others do better with longer sessions. Write about topics and themes that you’re passionate about. Don’t set out to write a zombie book because zombies are hot right now. Write what genuinely interests you. During the first draft, allow yourself to be messy. Don’t worry if you haven’t named all your characters or if your punctuation marks are in the right places. Just get it written. Use the first draft to find your voice, discover your characters, and unearth your plot and themes. You can dig into the details later. Be flexible: many writers say their best stories take off in unpredictable directions. As the saying goes, let the characters take the reins. The discovery process is often what makes writing fun and magical. Allow yourself to write badly. It’s better to write badly than to write nothing at all. You can fix it up later, and if it’s beyond redemption, you can move on having learned something. Do not abandon one project just because you had another brilliant idea. Stay focused and finish what you start. Know your limits. Can you work on several projects simultaneously? Some people write better when they’re working on one project at a time. Others can manage multiple projects. Keep adjectives and adverbs to a minimum. Go through an old piece of your writing and highlight all the adjectives and adverbs. How many of them could be deleted or replaced with more precise nouns and verbs? Connect with other writers. They will keep you going. Find them in book clubs, writing groups, classes, workshops, online and offline. Get an alpha reader (or two) and a few beta readers. Have your work critiqued. Feedback is essential! Be willing to rewrite — not just tweak, edit, and make minor changes, but completely rewrite either large portions or an entire book. Set deadlines. If you can’t meet your own deadlines, get someone to hold you accountable: a writing coach, teacher, or writing group or buddy. Most of us are less likely to let someone else down. Don’t stop for anything. Some days you’ll be too tired, too hungry, too stressed out to write. Give yourself some slack (cut your writing session in half) but don’t skip it! If you get stuck, find something in your project to explore. When my story hits a brick wall, I stop and work on character back-stories, world building, research, and brainstorming. If you need a special writing space, then create one. Make it a priority. But know that not having a special writing space is not an excuse. Many writers have worked in undesirable conditions. Be committed! Explore relationships and internal struggles in your writing. This is where readers connect with what you’ve written. Make readers feel or think. Preferably, make them do both. Pull out your old writing every once in a while to see how much better you write now (I do it every few years). These days, self-publishing is free and easy, and I applaud people who take the DIY route. But get someone else to publish your work at least once. You’ll learn a lot through the submission-rejection-acceptance process. Put yourself in other people’s shoes. The best writers are empathetic. Show the scenes that really matter. Don’t spend three pages with your characters engaging in meaningless small talk and then spend a single paragraph on a major event that is central to the story. Don’t skimp on research. I was just reading reviews on a historical novel, and I discovered that readers are knowledgeable about facts and aren’t afraid to call out writers who fail to get them right! Be curious. Ask questions. Get a cynical friend or sharp-minded family member to check for holes, gaps, inconsistencies, and inaccuracies in your writing. Rewrite to make the substance of your work deeper, clearer, and more concise. I recently read an essay by a writer who rewrote an entire book twelve times. Twelve times! That’s dedication. Do you want to change the world with your writing? Look for injustice and inequality (you won’t have to look hard or far). Find real stories about real people and let them inspire you. Edit your writing to make it flow smoothly. Work at the sentence level. Take breaks between drafts and between every revision. Be engaged with your work. If you’re not engaged, your readers won’t be, either. Use the dictionary and thesaurus, even when you’re not writing. Look up words you hear in conversations or see in books and online. Here’s a bonus tip: use online dictionaries with audio pronunciations. Many heavy readers are prone to mispronounce words they’ve read but never heard. When you proofread (and you must proofread multiple times), train your eyes on words and punctuation marks. Know the difference between form (fiction, poetry, blogging) and genre (romance, science fiction, mystery). Listen to conversations. How do people talk? Dialogue feels like real conversation but it’s an illusion. Record and transcribe a real conversation and then compare it with a great dialogue scene from one of your favorite books. When you read a book that doesn’t meet your highest standards, analyze it to determine what could have been better. Keep a notebook or journal. Small paper notebooks that fit into your purse or pocket are great (don’t forget to carry a pen). In the digital age, most of us have app-capable devices. I recommend Evernote for note-taking and web-clipping because it’s easy to use and syncs to all your devices. Always stay way ahead of your deadline, unless you do your best work under pressure. Don’t ever send shoddy work to an editor, publisher, or agent. 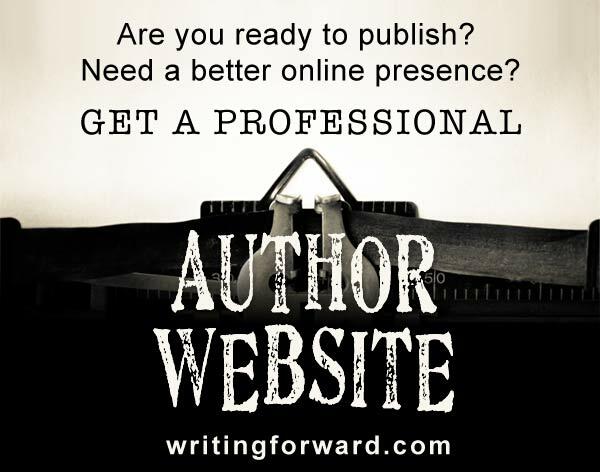 If you need help, engage a writer friend or hire a coach or editor. If you’re writing dialect, do it with care, caution, precision, and consistency. Otherwise, don’t do it at all. Good dialect is hard to read. Bad dialect won’t get read. Don’t be afraid to think outside the box and take risks. If it doesn’t work out, you can always rewrite. Find out what your weaknesses are and then study or do exercises to practice and eliminate (or at least minimize) those weaknesses. Do not exaggerate. For example, in fiction: what kind of person jumps up and down screaming at the end of a job interview when she gets hired? Write every day, even if only for five or ten minutes. Learn your craft, including grammar, spelling, and punctuation. If you want to be a pro, adopt a style guide (and make sure you know what that is and whether your form of writing already has an established style guide). Try to see things from new angles. What would Alice in Wonderland look like from the Queen of Hearts’ perspective? Do not rely on spell check. Also, do not rely solely on editors and proofreaders. Do your best work using your own mind. Watch your rhythm. Vary the lengths of your words and sentences. Make sure your writing is properly paced. Master the art of formatting dialogue using dialogue tags and including action throughout dialogue. Dialogue is pretty tricky, so be willing to work at it. Watch out for unnecessary repetition. If you’re writing an essay about horses, you’ll have to use the word horses a lot. But don’t repeat words unnecessarily, especially in close proximity. That’s what the thesaurus is for! Use language that sounds natural and flows smoothly. Get out of your comfort zone once in a while. If you’re a journalist, read some poetry. If you like science fiction, read a little Shakespeare. Write outside of your form and genre, too. Nothing makes a piece of writing pop like stimulating readers’ senses. The cool, sweet bite of a red-and-white striped candy cane can set a holiday scene more vividly than ten pages of description. Do some legwork. Are you writing a scene that takes place at a baseball park? Go to a game. Bring your notebook. Know the difference between a metaphor and a simile. Use them wisely. Do not change tense or point of view in the middle of a piece unless you have a good reason. Don’t even do it on accident (this is the kind of thing you should catch during revisions and proofreading). Don’t leave big questions hanging around unanswered. Fulfill promises that you make to your readers. Take care of yourself! This goes without saying, but writers seem to be especially prone to eating poorly and forgetting to exercise, particularly when they’re absorbed in a project. Most of us have to make sacrifices to get our writing done, but our health should always come first. What goes in comes out. If you read and watch trash, you’ll probably write trash. If you’re okay with that, then so be it. Write because you want to, not because you have to. Sometimes, writing feels like a job. Find ways to remind yourself that this is what you love. Give your writing a little literary flair by studying poetry terms and literary devices like alliteration and assonance. If you don’t know what alliteration and assonance are, then go look them up. Now. I’ll be here when you get back. Don’t use big, fancy words or old-fashioned sentence structures to make yourself sound smart. You’ll either come off like a snob or like you’re stuck in the 19th century. Know when to be specific and when to be vague. The character is wearing a dress. Is it a sundress? A gown? A school uniform? Is the color of the dress important or can that be left to the reader’s imagination? Use detail to reveal character and reflect your themes. When we find out the character is wearing a Catholic school uniform, we learn a lot about her. Cut descriptions that aren’t necessary to the piece (like the fact that her shoes were brown). Most people use contractions in their speech. Remember this when you’re writing dialogue. Don’t use formatting and punctuation marks to instruct readers on where to place emphasis. Here’s an example of what not to do: You just had to say that, didn’t you? Yes, because it’s a good “rule of thumb.” Get rid of unnecessary italics and punctuation marks. When you read something that impresses or moves you, deconstruct it. Find out what makes it so special and compelling. Study your craft closely. If you write fiction, you should know about the three acts, character arcs, and themes. If you write poetry, you should know the difference between a couplet and a stanza. Be yourself and take risks. Sometimes, we feel like we’re revealing too much of ourselves in our writing. Not everyone wants to star in a reality show, and writers are often introverts or private people. But bare your soul once in a while. Look before you leap. Think about who will be affected. Will your friends stop talking to you after your memoir comes out? Will your lover see himself in the character you modeled after him? Could you lose your job? Predict the consequences, weigh them, and move forward. Seek the truth. The best writing is honest. Don’t keep repeating yourself. You don’t need to tell the reader twice that it’s Monday. There’s a lot of grammar and punctuation you’ll need to master. Commas are the hardest and most misused. Study and practice them. By all means, use your spell check but do not rely on it as a professional editor. Do not pepper your writing with symbols & shorthand. Your book, poem, or article is not a text message. If you write any kind of list, do not end it with “and so on,” “and so forth,” or “et cetera” unless you absolutely have to. Agreement: Subjects and verbs must agree. Pronouns and nouns must agree. This is the kind of stuff you should catch during one of your many proofreading sessions. Remember that there is a time and place to break every single rule. On the other hand, don’t assume that you or your writing are the exception. Don’t break rules because you’re lazy or trying too hard to be original. People want to be engaged more than they want to read some new kind of story that’s never been told before. Try to catch all your typos (and try your best) but don’t beat yourself over the head if you miss one or two. Words like “however” and phrases like “for example” work better at the beginning of a sentence than embedded in the middle and surrounded with commas. Don’t jar your readers unless you have a good reason. When you use pronouns, make sure the nouns they represent are clearly established, especially when two people of the same gender are mentioned in a single sentence. The best way to check for awkward wording, bad rhythm, missing words, and shoddy dialogue is to read aloud. Discard any advice that doesn’t work for you. Know your own working style. Here’s a way you can put this list to good use: copy and paste it into a text document. Delete all the things you’ve already mastered. Then, choose three things to focus on for the next month. Choose one thing that you can do throughout the month (like read a book on craft), something you can do in a couple of minutes when the need arises (look up words you don’t know), and something you’ll need to do every time you write (avoid passive voice). Next month, pick three new techniques to tackle. Do you write better than you did a year ago? Five years ago? What did you do to improve your writing? Do you know what your strengths and weaknesses are? Do you have anything to add to this list? Share your thoughts by leaving a comment. And keep writing! Practical and inspirational, and so many of them that I don’t do well… Thanks for putting it together! Well, you know what they say: practice makes perfect. If there’s anything you don’t do well, just practice and you should see improvement. Good luck to you! Thanks once again Melissa. I have highlighted what I need to focus on. I am writing my second fiction novel and it is so great for me to get all these wonderful hints. I always look forward to your site. Keep up the good work as you are an inspiration for me. Love it! Thanks for your kinds words, Desley; I truly appreciate it. Keep writing! Yes, believing in oneself makes a huge difference. Thanks for adding that, Alana. Great post Melissa, seems like you summed everything up, but i want to ask you a question, do you think everyone can be a succesful writer ? i mean, i tried writing and i have a strong believe that i can achieve some success out of it, however, what holding me back is the fact that english is not my native language, which spreads a great feel of failure all over my mind. Can you please write something about it, or just respond in a comment, i’ll be greatful. Hi Hichame, No, I don’t think everyone can be a successful writer. I do think if you are dedicated to mastering the language and if you work hard at the craft, your chances are good. I think success comes more from ambition and effort than it does from talent. So stick with it! You’re welcome! Thanks for stopping by, Julia! I’m glad you found it helpful! Good luck with your writing! These are all great tips, thank you. Another tip I have found helped improve my writing and progress on projects was not allowing myself to be distracted by social media or surfing the internet during writing time. I also allocate 15 minutes to warming up before writing. And i don’t mean physical warm ups! I mean things like free writing, journalling or random word links. The Internet is a huge distraction for writers (and everyone else). I believe there are some tools that can be installed on your computer to block such distractions, and you always have the option of disconnecting! Great hints tips and reminders, thank you pinned for regular use.